Jordan's first lady launched a YouTube page in March to begin a dialogue between Arabs and Westerners. Queen Rania Al Abdullah already had something of an Internet following for her dashing beauty. Now her majesty is leveraging her relative celebrity to shatter stereotypes about the Arab world. With personal videos, slide shows, and documentaries, Jordan's first lady has created her own YouTube page in a virtual experiment to combat Western misconceptions about Middle Easterners. The site mixes the humorous with the serious. In one video, a comedian says that an American once said, "Oh, you're Arab, but you look so nice," when discovering his heritage. Other videos show the real-life perils – from terrorism to human rights abuses – for people in Arab countries. "My kids are big fans of YouTube – usually the cats on skateboard kind of clips!" 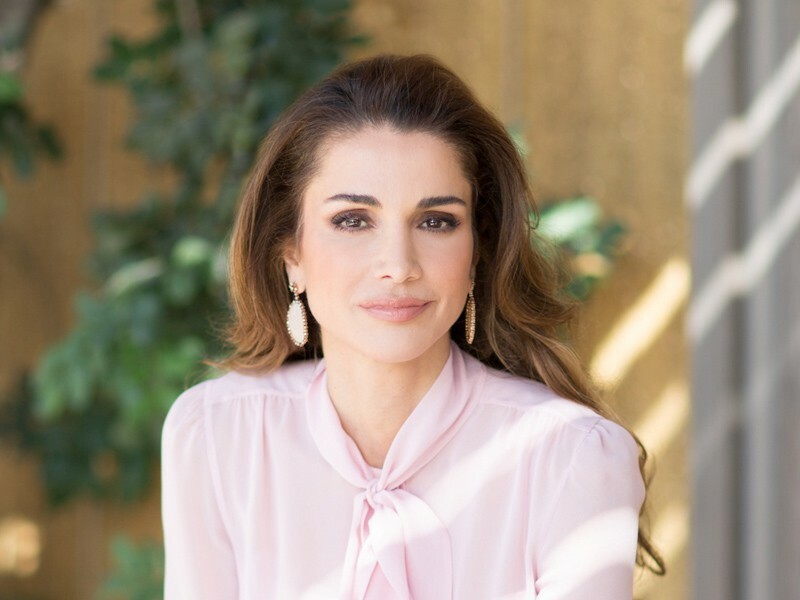 Queen Rania says in an e-mail interview. "I came to realize that it's not just a great medium for skateboarding cats.... Starting an online conversation was an excellent way to reach out to a huge audience, largely youth, that I don't normally connect with." Rania and her husband, King Abdullah II, have worked hard to position themselves in the vanguard of new Arab leaders: young, moderate, pro-Western, and technologically savvy. An international icon, the queen has become known for using her position to advocate for social causes from education for girls to an end to honor killing in Jordan. Then in March she started the YouTube page and asked Westerners to send in their stereotypes about Arabs and Muslims and open a discussion on how those negative images could be changed. Rania's first video received 1.4 million views within weeks, prompted 83 video responses from other users, and generated nearly 6,000 text comments. Subsequent posts have fewer views, but numerous posters have returned, watched more, and posted more responses. In a world where a 50-second video of Madonna cleaning the floor can garner 4 million hits in three months, a laughing baby gets 56 million in a year, Rania recognizes that her page is a fairly daring attempt to raise the bar. "YouTube is, primarily, an entertainment network, so I did wonder if people would engage in a serious discussion," she says. "It was a leap into the unknown for me. But to be honest, everything has exceeded my expectations – the good and the bad. There's more misunderstanding than I had appreciated, more anger, more bias, but also more interest, more support, and more engagement." "My favorite response is still one of the earliest ones I received: 'Are you Michael Jordan's wife?' My husband found that one very funny." Muslims from around the world have stepped up to try and break apart stereotypes, posting short documentaries, or slide shows highlighting the normality of day-to-day Muslim life. Alongside it all flourishes an abundance of angry comments, prank videos and pure incoherence: it's the Internet. As Internet users discuss stereotypes, there's a bigger debate going on about what that discussion is doing to the users themselves. On one side sit those like Harvard legal sage Cass Sunstein, author of "Republic.com," and Columbia anthropologist Thomas de Zengotita, who argue that the proliferation of media on the Internet – especially self-selected, self-centered media – can make online users more isolated, more insular, or more extreme in their viewpoints. On the other are people like pollster John Zogby, who, in his forthcoming book, "The Way We'll Be," uses a decade's worth of polling data to predict that global communications technology will fundamentally alter how new generations think. "[YouTube posts] most certainly can change attitudes," said Mr. Zogby. "We have found in our polling ... that there is a new generation of global citizens developing – people, because of the Internet, because of opportunities for travel, who have a global sensibility and greater appreciation for other people and other cultures." "What's important here is that there's a direct correlation between those with global sensibilities and those who are networked, via Facebook, and YouTube, and so on," he concludes. "These network facilities really enhance those kinds of global mentalities." Rania, too, is expecting that online communication, especially with the younger generation, can overcome political barriers. "They're a nontraditional generation, and we need nontraditional means to reach out and engage them. Their creativity, energy, and optimism can foster greater understanding and closer ties between people of different cultures and move us past these present hurdles." Plenty of research backs up the theory that social contact between people can change attitudes. For example, Muslims living in Europe report much more positive views of Europeans than Muslims living in the Middle East or Africa, says Richard Wike, associate director of the Pew Global Attitudes Project, one of the world's leading polling organizations. This may seem obvious, but academics still debate how attitude change works in the real world, never mind in online communities. Talking to someone over the Internet isn't the same as living next door to them or going to the same film club every week. "Each particular variable is simple and obvious, but it turns out that they interact in complicated ways," says psychologist Curtis D. Hardin, who studies attitude change in ethnic groups. "I think Queen Rania's [YouTube page] is one of the more impressive attempts to use YouTube for social change," writes Ethan Zuckerman, cofounder of the citizen's media website Global Voices. "It's going to take some time before it's meaningfully affecting global stereotypes, but it's a terrific start." The YouTube initiative ends Aug. 12, on International Youth Day. But Rania hopes the conversation she's started will continue long afterward. "More and more regular users are returning and moving beyond comments to conversations with new friends," she says. "It's at that level that you begin to see people question their assumptions and reconsider stereotypes. That's what this project is all about." Queen Rania's YouTube site is located at www.youtube.com/user/QueenRania.